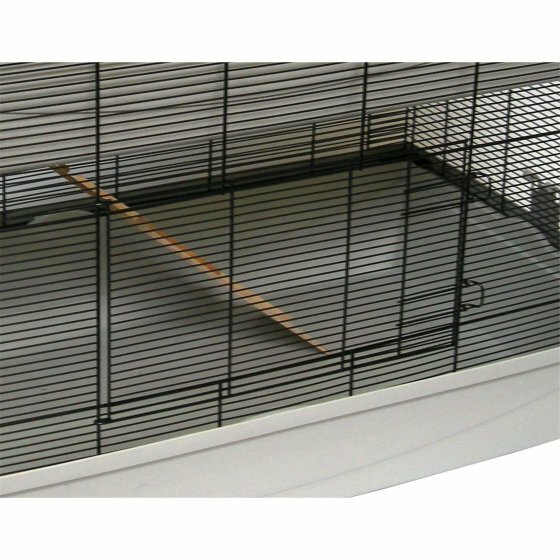 Artificial cage with 2 floors, also ideal for many other rodents, e.g. 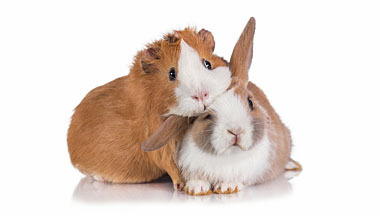 Rats, degus etc. 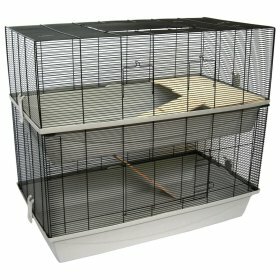 Category: Rat, chinchilla, chipmunk cages etc. 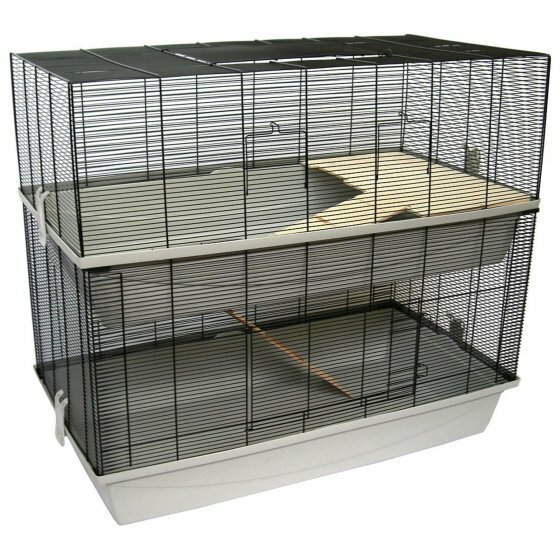 Fully equipped hamster cage with two floors including 1 wooden floor and 2 ladders. 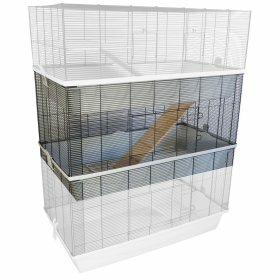 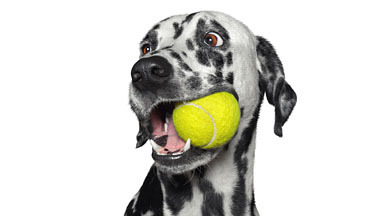 Through the two floors you offer your pet much more living space than in a conventional hamster cage and thus contributes to a species-appropriate animal husbandry. This hamster cage has a wire spacing of only 7 mm and is thus ideal for small rodents such as. 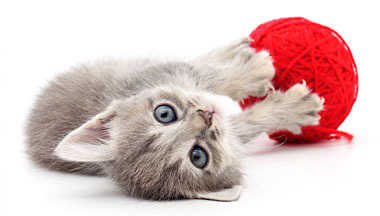 Mice, hamsters and gerbils. Due to the size of the cage is also excellent for many other rodents. 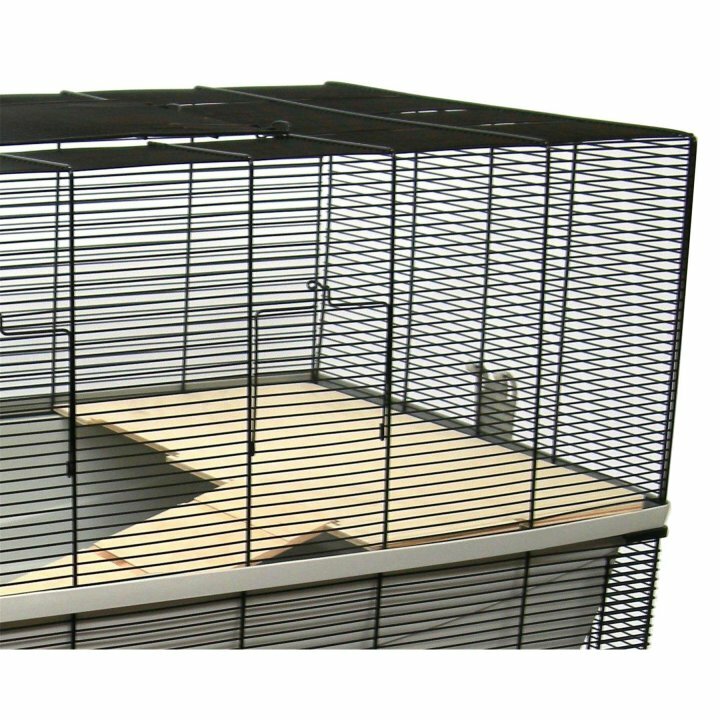 Also has the rodent home with a large flap top and 3 flaps laterally for quick access to your favorite. 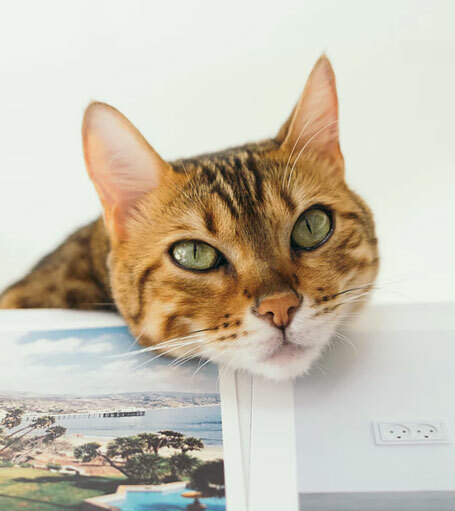 Great rodent outlook and cuddly house in one! 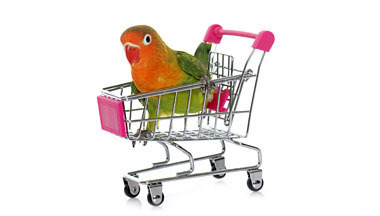 To hang in the cage or to place on the ground.